Front view. Notice the white warning labels on the fragile parts. 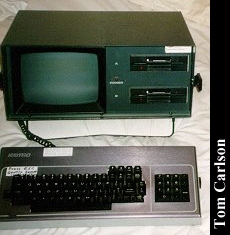 Side view, shows the true depth of these luggables. 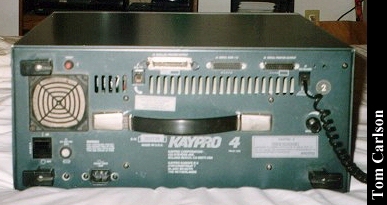 Rear view, showing the usual CP/M-type ports, as well as a good-sized cooling fan. 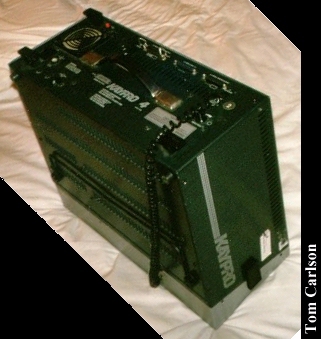 View of it standing on end. This is how it looks just before you have to pick it up. 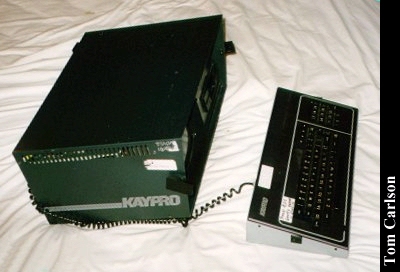 Click here to view all comments for the Non-Linear Systems Kaypro 4 and to leave your own.